MormonInfo.org - FAQs - Have you ever read the Book of Mormon and prayed about it? 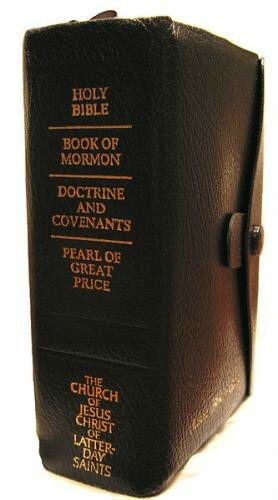 Yes, I've read the entire Book of Mormon, as well as the other LDS Scriptures--the Doctrine & Covenants and the Pearl of Great Price. I continue to read through these works, and I have sincerely prayed (and continue to sincerely pray) about all of them. I take it for all sorts of reasons that God told me that He's not the author of them (these reasons will become obvious to you as you look around my site). To quote the Book of Mormon, God has indeed "manifest[ed] the truth of it unto... [me], by the power of the Holy Ghost" (Moroni 10:4). The truth is that the LDS Scriptures are not of God! "This may be helpful to you...The Mormon's "burning-bosom" experience is frequently used by them as their basis of truth. They need to realize that to trust their eternal welfare to a feeling that a shot of Alka-Seltzer could get rid of is the extreme of folly. We all know people who believe many things very sincerely, and even feel that the "Holy Ghost" has told them that what they believe is true. They may be just as sincere as the LDS person is - so what is the difference? We all have testimonies, and if having one makes you right, then we are all right and we might as well forget it. Instead, the Bible provides us with an unchanging standard by which our feelings must be measured, not the other way around. 1. Acts 17:11: "These were more noble minded that those is Thessalonica, in that they received the word with all readiness of mind, and searched the Scriptures daily, whether those things were so." Paul and Silas are kicked out of Thessalonica. They come to Berea and begin to preach the Gospel. Now, the Bereans have never seen Paul and Silas before, nor have they heard this Gospel. How are they going to know that it is true? If the Mormon position is right, we should read that they hit their knees and began praying to receive a testimony. Is this what we find? No." At this point you quote the verse, emphasizing the last clause which says "and searched the Scriptures daily whether those things were so. The fact is that the Word of God was the standard the Bereans appealed to, not their emotions. 2. I Thessalonians 5:21: "Prove all things, hold fast that which is good." 3. James 1:5: "If any of you lack wisdom, let him ask of God, that giveth to all men liberally, and upbraideth not; and it shall be given him."